State-of-the-Art lectures are presented by the most outstanding invited speakers at the ICP 2020. The time allotted will be 45 minutes, including the discussion time. A Chair will introduce the speaker and moderate a short discussion, or select questions from the audience. An Invited Keynote Address is a lecture scheduled for 40 minutes, including discussion time, presented by an outstanding invited speaker. All Invited Addresses will have a Chair who will introduce the speaker and moderate a short discussion or select questions from the audience. Invited Symposia are preferably multi-national sessions consisting of three to five presentations and a discussion on a specific topic. Colleagues who will be invited to chair a symposium are asked to gather a group of speakers and discussants for lively exchange, including the state of research and future challenges in their specific field. Invited Symposiums have a duration of 90 minutes. 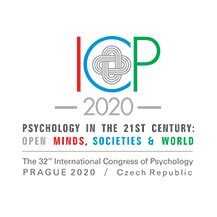 Controversial Debates, a presentation format first introduced at the ICP 2008 in Berlin, will continue in stimulating discussions at the 32nd ICP 2020 in Prague. At this format we will focus on psychologically loaded, exciting topics. There will be a daily debate in a prominent time slot that will be chaired by leading psychologists.